Meet Maria Ross! Maria (no, not the same Maria from last week!) is a brand and marketing consultant with her own business (www.red-slice.com). But of course that’s not all. She is also an author and an actor. And an animal advocate. Maria is a fellow renaissance woman whom I met last year when I hired her to work on my branding with me. It didn’t take long before Maria recognized herself in my ideal client profile. Of course I wanted to interview her for my book about successful renaissance folks, and in this article I’ll share some of what we discussed last week. Maria grew up with an engineer dad (you can’t get more specialist than that! ), and a brother who, from an early age, knew he wanted to be a lawyer and who indeed went on to become one. By contrast, she always felt as if something was wrong with her for being so all over the place for as long as she can remember. Selecting a major that would give her many options (marketing) at a business school, she started her career as a management consultant and worked in marketing on both the client and agency side before starting her own business a few years ago. Early on, she also considered becoming a speech therapist. Meanwhile, she’s been entertaining her creative side as a writer and an actor, performing with community theatres. She has several articles published in magazines and has a book coming out this spring about branding for small businesses. Her enthusiasm is contagious and she shared many wonderful tips that I’ll include in my book. Maria calls herself a brand and marketing consultant, writer, speaker, and actor. Does she get paid for all these roles all the time? No. But it’s still who she is. It’s what gives her energy, what she’s good at, what she’s excited about getting up for in the morning. And it feeds her renaissance spirit. Many folks I speak with trip over their notion of having to do something or nothing at all.  When they think of a new career direction, they limit themselves by believing that they’d have to go back to school, start from scratch again, and devote all their free time to it. Or that, if they can’t be an A-list actor, it’s not worth while pursuing at all. This is a very common mistake many renaissance folks make. I talk about this in my special report about the mistakes renaissance personalities make as well (you can download it for free here: www.CareerBranches.com). How liberating is it when you give yourself permission to pursue something part-time, possibly in your free time? Many believe that if something is a hobby, it’s not good enough. Yet you’d be surprised how many people actually did take one of their interests the professional route only to find out they hated commercializing their passion! Your creative freedom has now restrictions in the form of your client’s or employer’s wishes (read: demands). The other thing we can learn from Maria.. I talk about personal brands a lot as a way to distinguish yourself from the crowded sea of job seekers out there today. 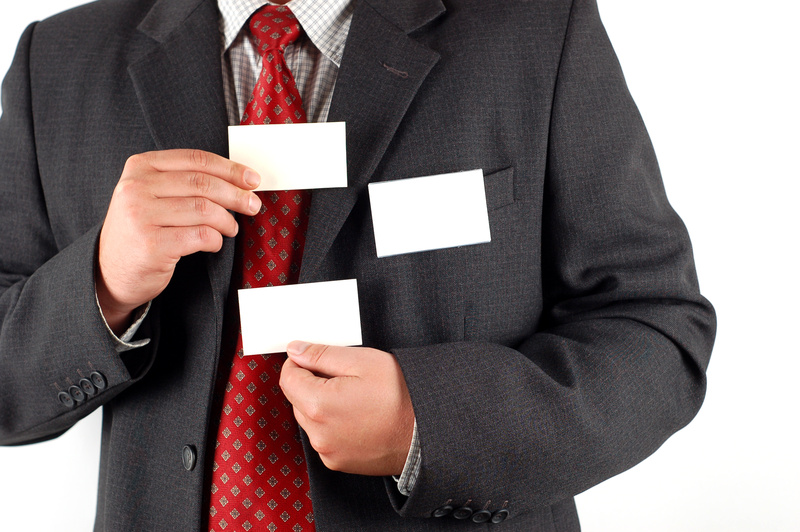 Having a strong, personal brand that relates to an employer’s needs is vital these days. This means that you could have several brands if you are pursuing different positions and industries. But Maria discovered something very interesting and slightly different. She figured out the common thread throughout all her activities. Call it her life brand if you want. It’s the one thing about her that ties it all together. In Maria’s case, it’s being a born story teller. Whether she works in marketing, is acting in a play, writing her articles, or her book; she’s always telling a story. That’s what she excels at and what excites her the most. During our interview, we even figured out how working with animals fits into that picture: she’s giving a voice to those who can’t speak for themselves, just as the ASPCA ads say! – You will feel more “cohesive,” for lack of a better word. – No more skepticism: It’s much easier to help others understand what you’re about and what all your activities have in common. – Sit down and look at your different interests and jobs and figure out what it is about all those things that’s attractive to you. Think about the abstract. For example: if you’re a pilot and love being a pilot, it may not just be about flying, but about freedom, or adventure, or about pushing your limits. – Have an honest discussion with yourself about your values that goes beyond “”I’m honest and a hard worker.” Think about what you’re attracted to. In Maria’s case, this is (amongst other things): humor, adventure, and serenity. – Think of what makes you excited to get up in the morning. In summary: discover your values and what you enjoy doing to get to your common thread. Even if you can just spend one afternoon at a coffee shop pondering this, it would be helpful. Uncovering her life brand helped Maria tremendously in getting an inner sense of calm. From there, this mental shift helped external things fall into place better as well. I’m figuring out my life brand as we speak! I see multiple themes but will report on it when I narrow it down. Let me know if you’re able to figure out what yours is, ok? Just leave a comment below. If you are interested in Maria’s book, “Branding Basics for Small Business” that’s coming out in late spring or summer, make sure to become a FaceBook fan to get notified when it’s ready at facebook.com/redslice. Mine is structure. I love every kind of textile art I have ever come across, I love beading, the more complicated the better. I was a textile designer in NYC and loved it. I was a research scientist, a biochemist (but didn’t like the day to day life of it much). I’ve also done production editing, copy editing and proofreading, have written several instructional craft articles, and two probably permanently unpublished novels via NaNoWriMo. I finally figured out that what interested me in biochemistry to begin with was the elucidation of he structure inherent in the elegant design of the system that makes life work. My various jobs in publishing and my interest in all things textile, but especially those in which structure was very significant, such as weaving and intricate beadwork, all have that element too. I agree that it helps to know the commonality of a diverse spread of interests. Firstly thanks to Ilona and Maria! The universe always sends us gifts at the perfect time. I must admit complete ignorance regarding the term Renaissance Life/Personality in the setting of 2010. However very recently I found myself thinking that I would have fitted in better in that historical period. Like Maria, I have my own company which is a consultancy specialising in search engine marketing, optimisation, online articles, press releases and also web design. I have had a colourful life up to now regarding exploring various interests and have worked as a complementary healer, taken part in Native American spiritual ceremonies and more recently started writing. Towards the end of last year I also started painting. It really resonates with me this feeling of having other people around me in my life who seemed more “correctly” focused on a life and career path than myself. I have been somewhat of a butterfly in this sense. Trying to work out what my brand is my immediate thought is that it is energy; meaning the more subtle energy that we can sense in ourselves and others. When I have been painting I find myself in a semi-meditational state before starting and while painting. Again thank you for the heads up on this term and personality type. Hi – that’s so interesting! From textile design to the “tapestry of life” (biochemistry). Fascinating! I’m curious how you were able to figure this out and what tips you have for other renaissance personalities in figuring out theirs. Also: how specifically has having this awareness helped you? Thanks for your comment. Yet another fascinating person. I love hearing your stories! You’ll find that there are several terms out there for us: Barbara Sher calls us “scanners” and Margaret Lobenstine refers to us as “renaissance souls.” Neither phrase worked for me so I came up with my own. Btw, the books both ladies wrote on this topic are the best! It’s what turned my life around 3 years ago, realizing it is indeed a personality trait and not something defective. I love how you pinpointed your common thread to energy. I realized I too am a “Renaissance personality” during our first conversation together. This article brings out an important part of my own experience; pulling from seemingly different experiences to add up to something greater. I have noticed over time it is as if I am on an upward spiral… getting very involved in different things over time while the group of interests seems to repeat. Over the years I’ve learned to trust my interests as it’s become obvious how my “too many to count” experiences, jobs, businesses, homes, locations, etc all work together to add to my skills, knowledge, contacts and fulfillment. I love to tell stories too. I love to teach, train and help people by sharing information and strategies. I love freedom, and I equally love freeing others from financial and emotional slavery. Ultimately I love being a cup overflowing. It’s been a ten year process of “getting clear”. I expect to continue learning and “peeling the onion” for as long as I’m alive. Your work with Renaissance personalities makes me feel like less of an odd-ball! It’s nice to know there are others out there as well. On a side note… Along the way I’ve studied learning styles; auditory, visual and tactile. I also learned a way of determining learning style by looking at the patterns of iris of the eye… and it was through this modality I learned I am “multi-sensory”. I learn by all three at once. I am curious if this is a common trait of the Renaissance personality. I can learn by sitting in class and listening. I can learn watching. I can learn by doing. Doing all three is best, but I don’t have a dominant style the way “most people” do. This is a fascinating post with lots of gems throughout. You both sound like people I’d love to spend time with. I’m thinking Hawaii?? Hey Jesse – great feedback, thanks so much for commenting. Btw – I’d love to interview you for my book as your renaissance life is amazing. I know of few people who’ve done the number of things you have in such a short amount of time, really. That’s an interesting question about the learning styles! I wouldn’t be surprised. I also wonder about being ambi-dextruous. I get that when I take those tests. I also find it easy to develop left-hand skills such as writing when I need to. Thanks for commenting – I’m glad you liked the post!